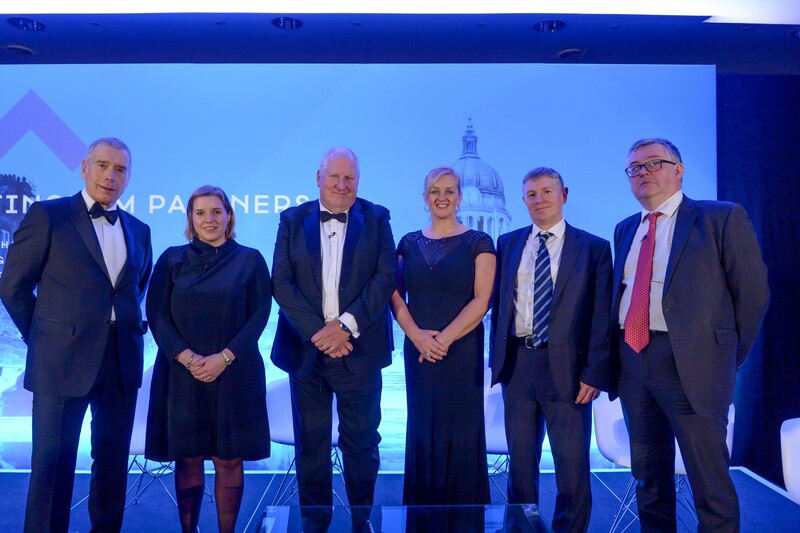 There was a strong air of confidence and resilience as over 260 business leaders attended the Nottingham Partners Annual Dinner at the Crowne Plaza Nottingham on Thursday 31st January. 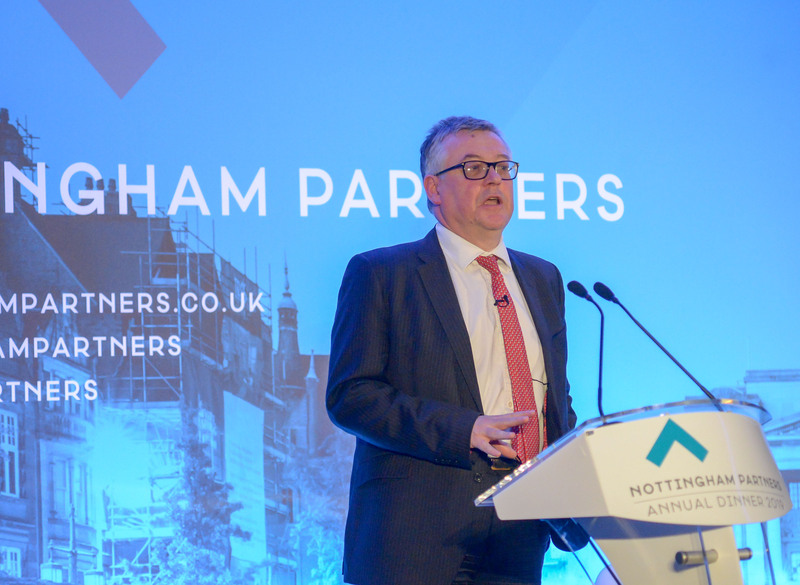 Guest speaker Rhys Herbert, Senior Economist at Lloyds Banking Group gave a fascinating insight into the global economy, from the policy induced growth in the US to the slowing growth in China and sluggish performance of the EU. Mr Herbert considered the implications of a no deal BREXIT with businesses operating under WTO arrangements but still remained optimistic that a deal would be struck. 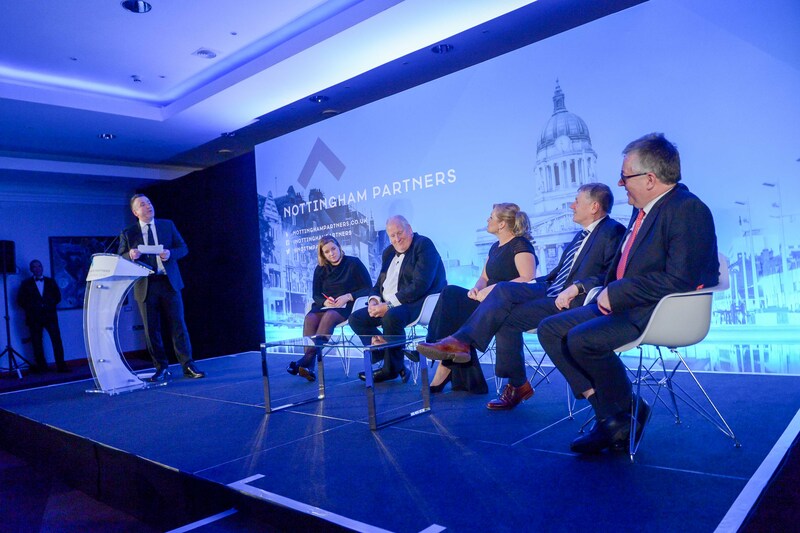 The after dinner panel session, expertly chaired by Nottingham Post editor Mike Sassi, featured some of the regions leading business figures. Karen Smart MD of East Midlands Airport , Chris Peters CEO of Addo Food Group, Camilla Wigmore MD of Abacus Lighting and Eric McVittie Lead Data Scientist at Experian tackled a wide range of issues including the strong performance exports from the East Midlands to Non EU territories, food security, loss of migrant workers, manufacturing supply chains, consumer confidence and interest rates. 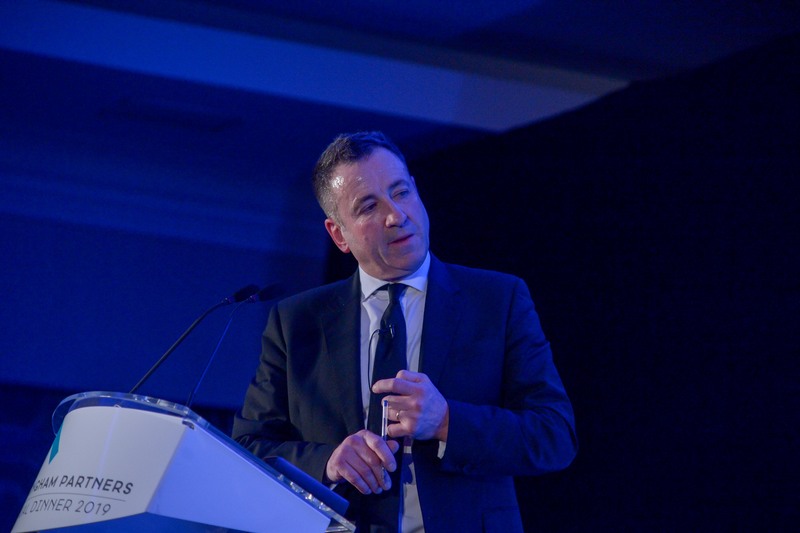 The event was sponsored by Eversheds Sutherland LLP.